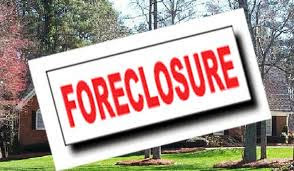 Foreclosure can be a mine of gold for getting a good property at throwaway price and for that you need to understand the meaning of the foreclosure. In a layman language we may define the foreclosure as a term that denotes closing a relation earlier than originally contemplated. In financial sense, this term normally indicates closure of a loan account by the lender when the borrower is unable to pay the installments as originally agreed upon. In our sense this relates to loans obtained for creation of an asset viz., homes, shops, properties etc., and properties mortgaged with lenders to obtain financial assistance. When a borrower is unable to pay the dues as agreed upon and the loan remains unpaid for more than six months, the financial institution seeks to sell the property and closes the loan earlier than the agreed period. Similarly, if a borrower can not service his mortgage anymore the loan is revoked and the property pledged as security will be taken over by the financial institution for realization of the loan. If the borrower has paid up for, say, 2 years already that money is gone and so is his property. Thus one can get good deals by looking for foreclosure properties in India and can apply within the stipulated time to make a killing in the property.